Rent Joe's Bar | Corporate Events | Wedding Locations, Event Spaces and Party Venues. 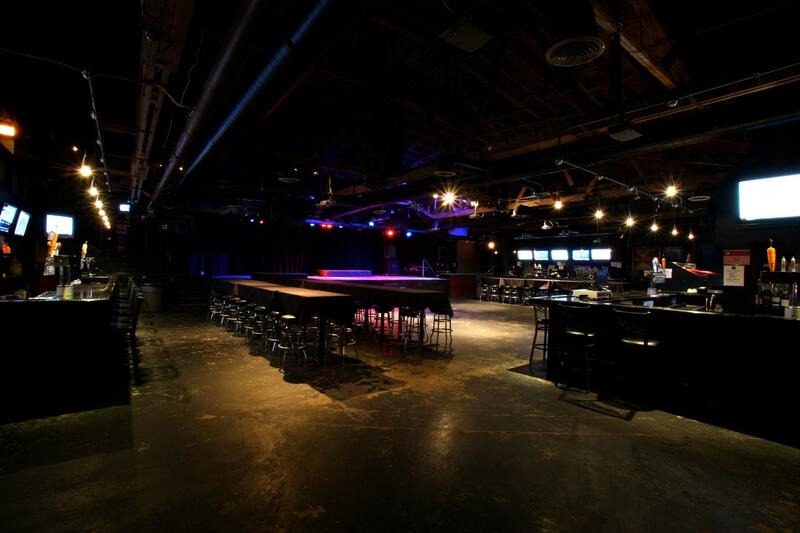 Joe's is a 20,000 square foot warehouse-style venue located near Lincoln Park in Chicago. Joe's specializes in sports, live music and private parties. Joe's features five party room, each offering its own unique environment. 3,100 sq. ft. space featuring table seating as well as 6 large comfortable booths, each with 2 brand new built in personal 19 in. flat screens, a private bar with 8 mounted 60-in. flat screen plasmas as well as 6 more 50-in. plasmas mounted throughout the room. The Chapter Room can comfortably hold 150 people. This 8,500 sq. ft. area has a spacious dance floor, a permanent stage for live music, three full bars, five 10 ft. projector screens and over twenty 42 in. flat screen plasmas. The Clubhouse can comfortably hold 800 people for a reception style event as well as seat 350 people for a more formal banquet style event. The club house also houses two VIP areas for 30-90 guests. The Red Room is a great spot for a more private formal event. The room offers a private space for up to 100 people on the main floor. As one of our favorite spaces, this is a great room for any event. Located directly above the restaurant, the cozy yet modern 3,500-square-foot space features custom cedar benches and tables perfect for enjoying those coveted Chicago summers. The rooftop can comfortably accommodate 120 guests. With over 120 plasma televisions and high definition projector screens, Joe's is sure to have your game on TV! We are host to 4 different college alumni groups such as the Fighting Illini, the Indiana Hoosiers and the Arkansas Razorbacks just to name a few. There is no better or bigger place in Chicago to catch all the NFL, NCAA, NBA or NHL action. With 14 satellites, we can show all the games at the same time. Joe's is also host to both national and local music acts. We have been home to acts such as Eric Church, Brad Paisley, Miranda Lambert, Dierks Bentley, Randy Houser, and Salt N Pepa. We also have monthly performances by local bands such as Rod Tuffcurls & The Benchpress, 16 Candles, Wedding Banned and many, many more.